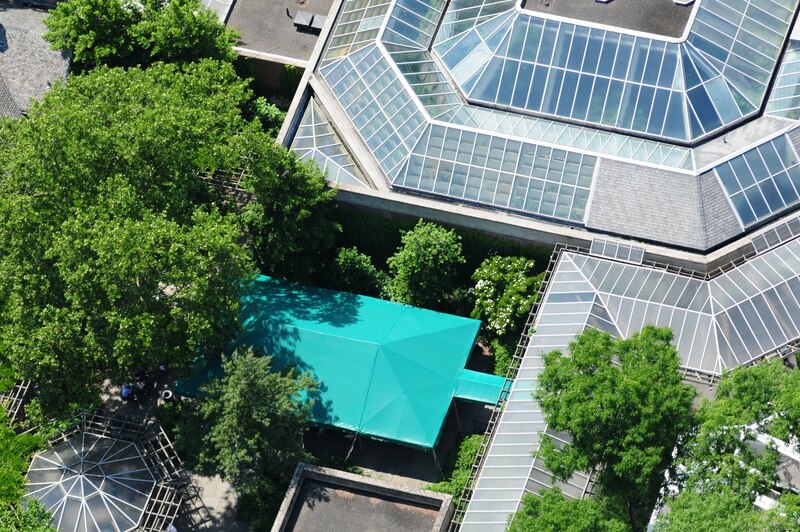 A portion of our latest press release, with added photos. Stamford, CT (April 8, 2010) – Stamford Tent & Event Services, a Connecticut-based tenting and event service provider, announced they have recently been honored with the 2010 Award Of Excellence, Commercial Tent Project; and the 2010 Award Of Excellence, Party Tent Project. 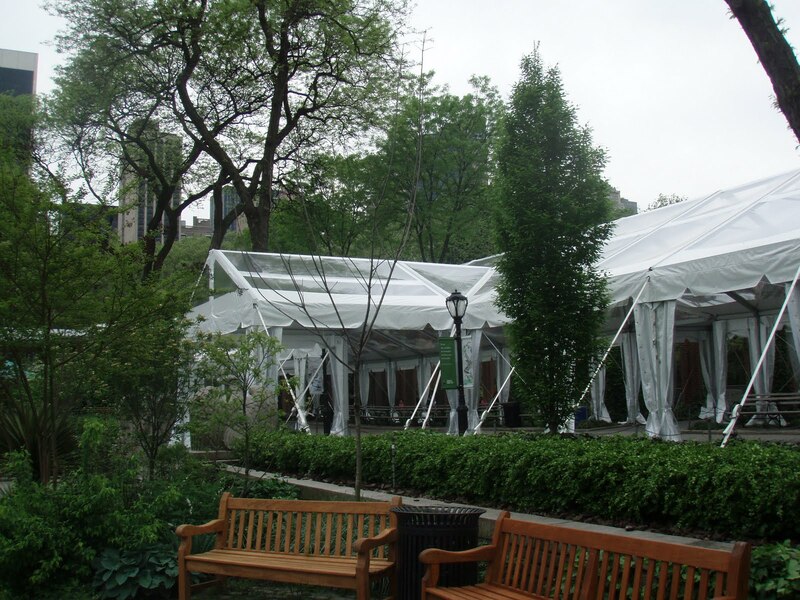 This is Stamford Tent’s tenth and eleventh such awards from IFAI’s Tent Rental Division (Industrial Fabrics Association International). 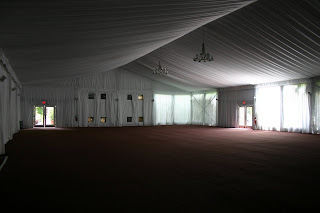 The Commercial Project award was based upon a custom-made Structure Tent for a client in Greenwich, CT. 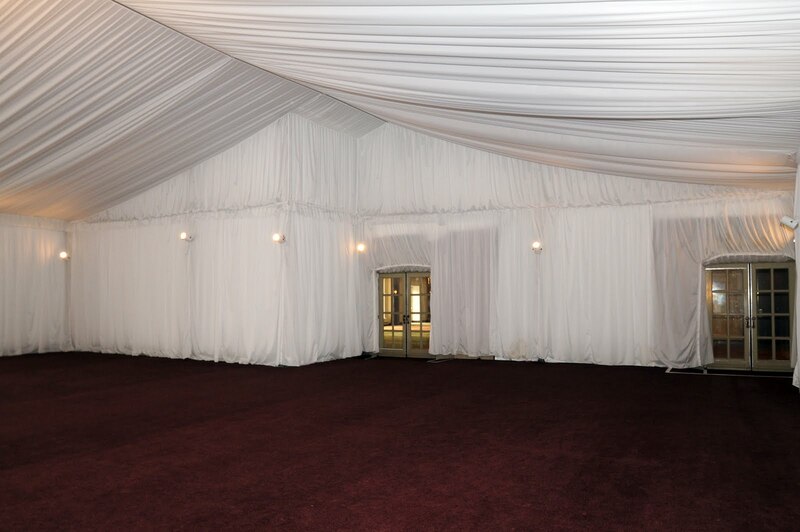 The project consisted of an 18x23 meter clearspan structure attached to a hotel for use as an additional, seasonal event space. 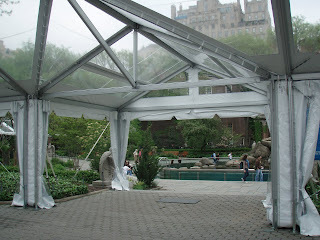 The hotel had an irregularly shaped notched space that prevented a traditional tent from abutting the two main guest access doors. 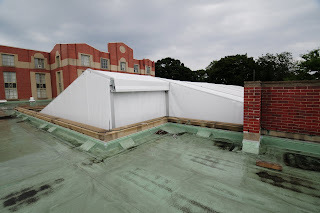 A special shortened bay was engineered by the tent manufacturer to seal the fascia of the building to the structure to prevent leaks during the summer rains. 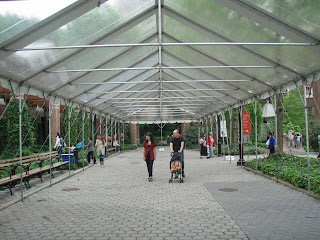 The Party Tent Project award was based upon a trapezoid shaped tent that was customized for the Central Park Zoo. 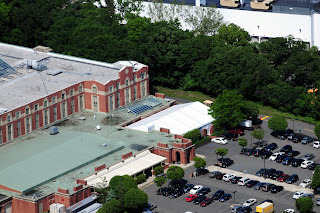 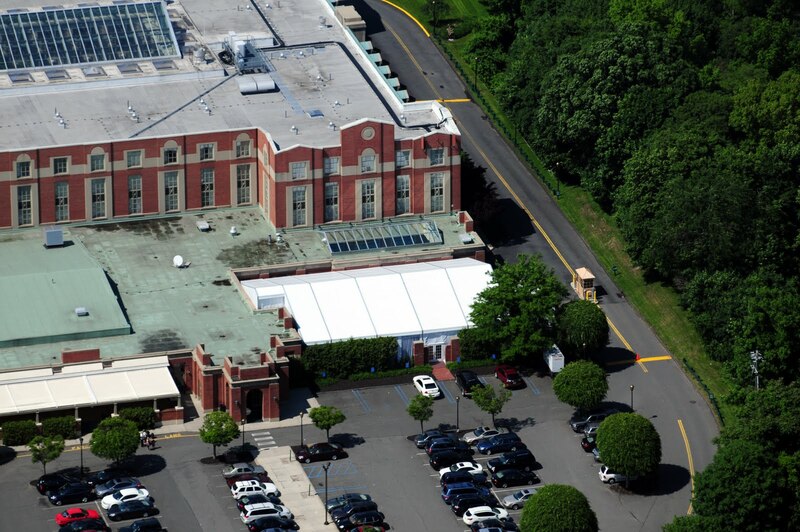 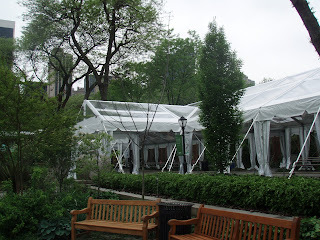 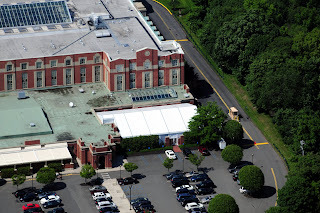 The project consisted of a 30’x178’ gable-ended structure with two integral dormers and two trapezoidal connectors installed to lead up to the Central Park Zoo colonnade and the Central Garden. 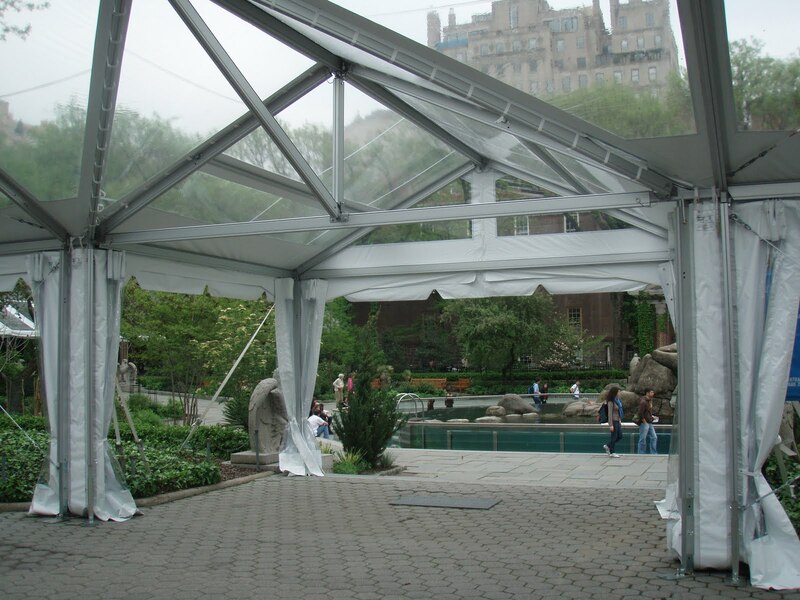 The existing colonnade was a glass structure so the client requested that all tents be made of clear vinyl to appear as if they were a permanent part of the zoo.